ATVs are usually the first choice when it comes to adventures on four wheels. They are reliable, tough and strong, being able to keep you out of trouble on almost any type of terrain. 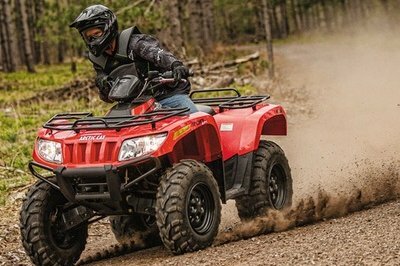 The Arctic Cat 700 makes no exception and thanks to its unstoppable character it is able to tackle even the toughest trails with poise. It features a fairly relaxed riding position, a long travel suspension, a high ground clearance and a set of massive tires. 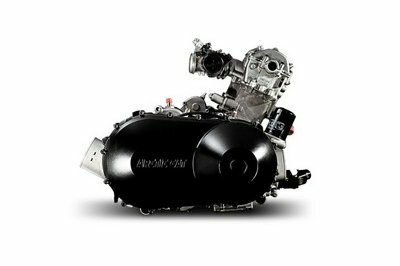 At its heart sits a 695 cc, SOHC, 4 stroke, 4 valve W/EFI which transfers its power to the ground by means of an automatic transmission. The engine needs to deal with a dry weight of 676 lbs. 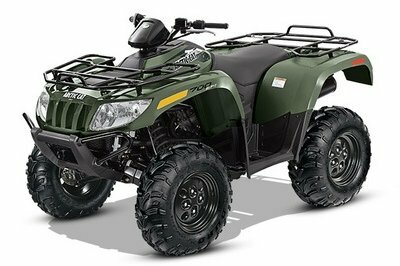 The Arctic Cat 700 is available in either Green or Red and comes with a base price of $8,999. 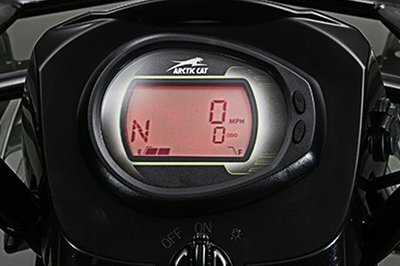 Hit the jump for more information on the Arctic Cat 700. The 700 H1 is a 695cc, liquid-cooled single-cylinder with EFI. This engine creates a huge amount of power and torque. Along with being a cleaner-burning, more efficient engine, the H1 delivers excellent throttle response and superior thermal efficiency. To achieve better cornering Arctic Cat lowered the center of gravity. That’s the thinking behind Arctic Cat Ride-In suspension. To accomplish this Arctic Cat lowered the profile and seat design without sacrificing ground clearance and suspension travel. Double A-arms prevent deflections during cornering, resulting in ultra-responsive steering. The digital gauge features 14 critical operation information indicators: clock/hour meter, fuel level, mode button, set/reset button, odometer/trip, gear position, speedometer/tachometer, needle display, differential lock, drive select, high beam, battery condition, temperature and oil pressure. 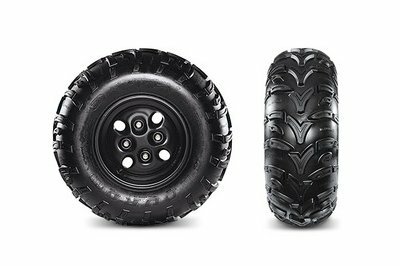 The Duro 3 Star Kaden tires boast a 3-ply rating. This is a smooth riding tire. 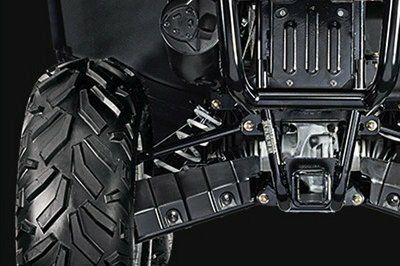 The tread pattern provides excellent grip in all types of terrain. You’re in control. When the going gets aggressive, flip a switch and you’re in 4WD. For maximum traction, lock the front differential. You’ll be using your ATV every chance you get. So Arctic Cat outfitted it with a stout 2-inch rear receiver, just like the one on your pickup. Gone are the days of multiple hitches. 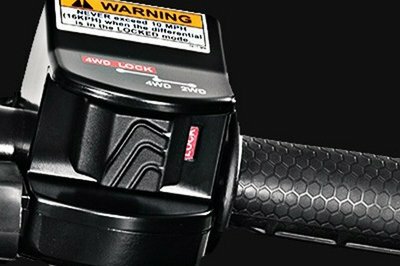 Hook up to your boat trailer, utility trailer, your SPEEDPoint™ attachments. And start racking up the accomplishments. 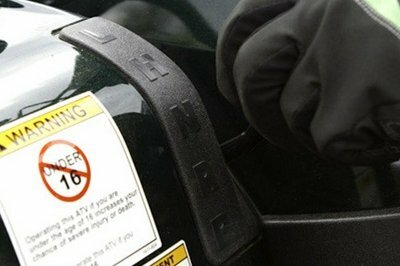 Arctic Cat racks are steel, not plastic. They’re strong. They’re durable. What’s more, built-in entry points make it super easy to add attachments. Racks are rated for 100 lbs. carrying capacity on the front, and 200 lbs. on the rear. A noteworthy feature on this model: Once in park there’s no need to engage the hand brake. But Arctic Cat recommend you do anyway, especially when parking on steeper grades. Front Rack Capacity 100 lbs. Rear Rack Box Storage Capacity 200 lbs.